Beautiful triplex detached Turkey villa for sale with 3 very large bedrooms. The ground floor of this property has an open plan aspect with patio windows leading to the swimming pool and gardens. The top floor of the villa is for the whole of the master suite with a full en-suite bathroom and separate dressing area. The two other bedrooms and a large family bathroom are on the middle floor. The villa stands in it’s own large plot in the Ovacik valley and has a large private swimming pool and garden area. The villa is an excellent location for use either as a holiday home or a residential property. There are a variety of amenities with a few minutes walk from the villa. 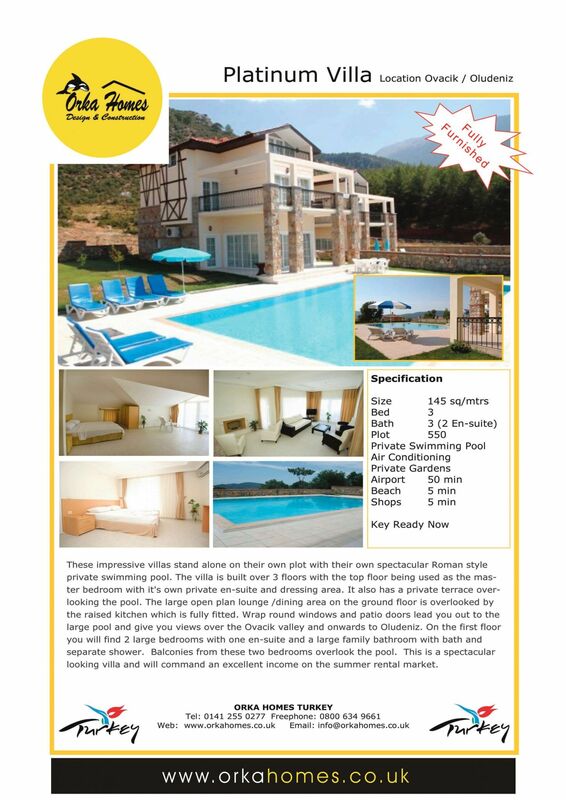 Excellent Turkey villa for sale as either a residential home or a holiday rental property.